Suicide Prevention is a complex issue. Causes of suicidal behaviour can stem from a complex mix of factors such as adverse life events, social and geographical isolation, socio-economic disadvantage, mental and physical health, lack of support structures and individual levels of resilience. The new approach to mental health and suicide prevention funding and reform is focussed on person-centred care funded on the basis of need, a regional approach to service planning and integration, effective early intervention across the lifespan and strengthened national leadership. Brook RED is a peer-operated community supporting holistic recovery from mental illness, using the unique insights and connections that a peer perspective provides in all of their work. Operating for 15 years, there are three centres across the region and a range of programs including the RED House, a residential space where people can spend a few weeks working towards their recovery goals. 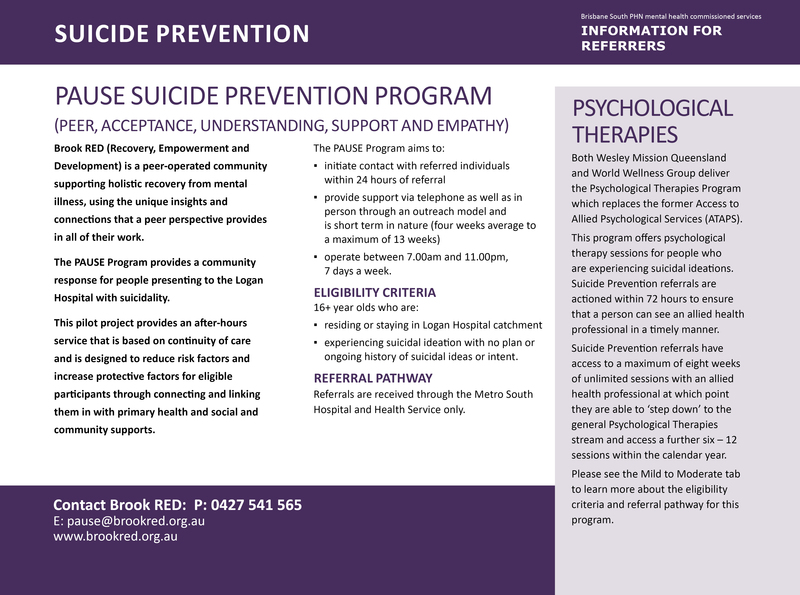 Brook RED is commissioned by Brisbane South PHN to provide a community response for people presenting to the Logan Hospital Emergency Department with suicidality. 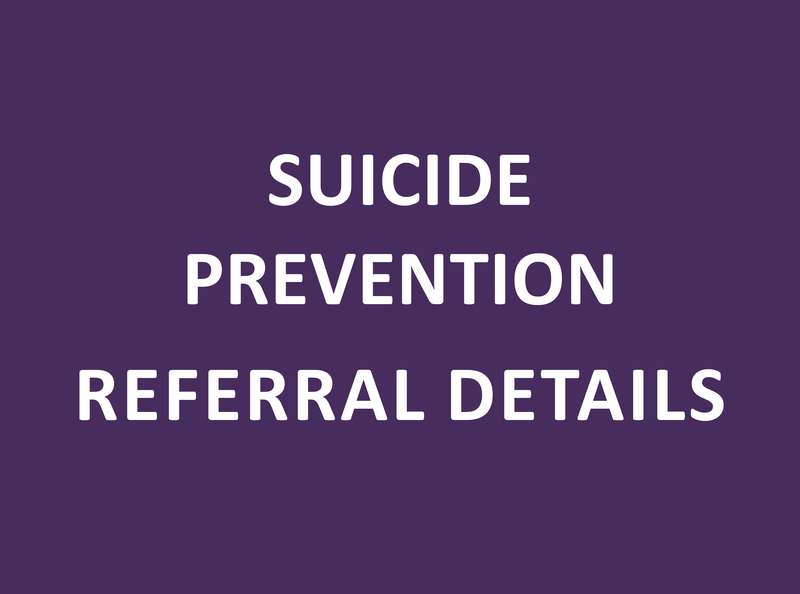 The pilot project provides an after-hours service that is based on continuity of care and is designed to reduce risk factors and increase protective factors for eligible participants through connection and linking. Referrals are received through the Metro South Hospital and Health Service only. QPASTT provides flexible and culturally sensitive services to promote the health and wellbeing of people who have been tortured or who have suffered refugee related trauma prior to migrating to Australia. QPASTT aims to provide services which address the range of physical, psychological and social needs that survivors of torture and trauma have. All services are free and confidential. 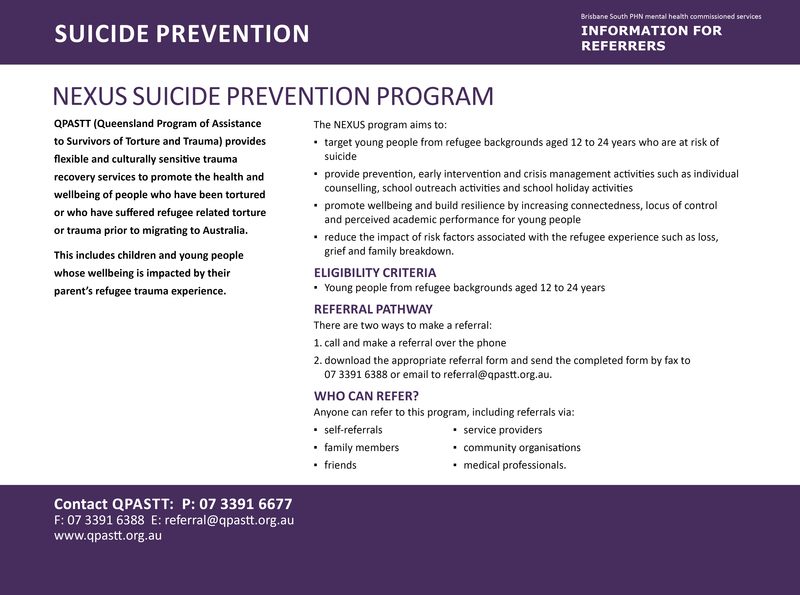 QPASTT is commissioned by Brisbane South PHN to deliver the NEXUS program, targeting young people from refugee backgrounds aged 12-24 years who are at risk of suicide. Nexus will include prevention, early intervention and crisis management activities such as individual counselling, school outreach activities and school holiday activities. The NEXUS program was developed to promote wellbeing and build resilience by increasing connectedness, locus of control and perceived academic performance for young people.